Hi there lovelies...hope everyone is having a great day! 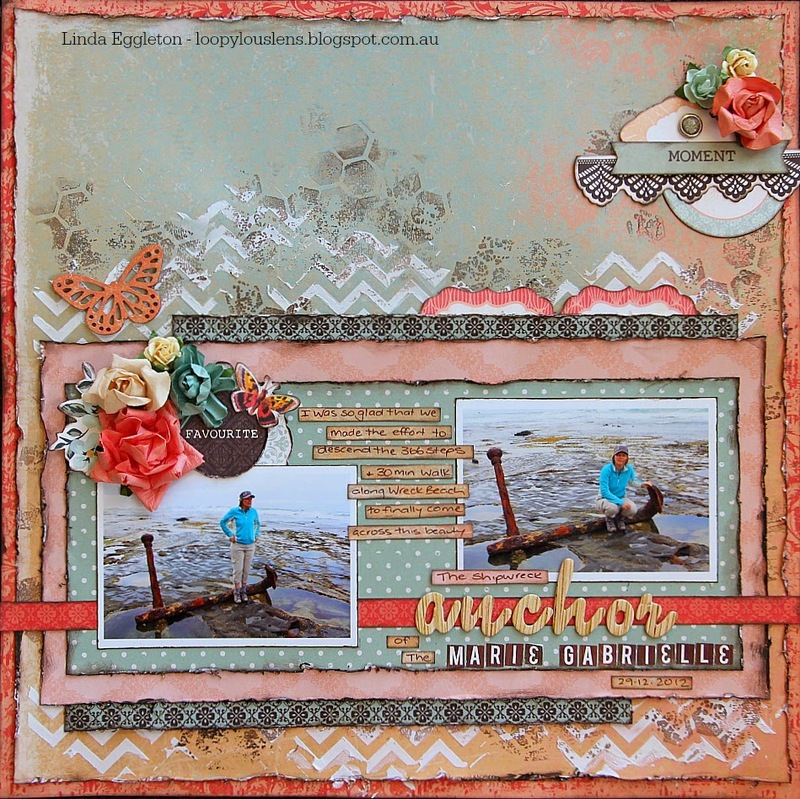 "Anchor of the Marie Gabrielle"
I have added a bit of background work to my base paper & embellished with heaps of diecuts from the Collectables pack, Kaisercraft blooms & a 2Crafty butterfly. Pics are of me at Wreck Beach along The Great Ocean Road at the site of the shipwrecked Marie Gabrielle....a really fascinating & beautiful place! 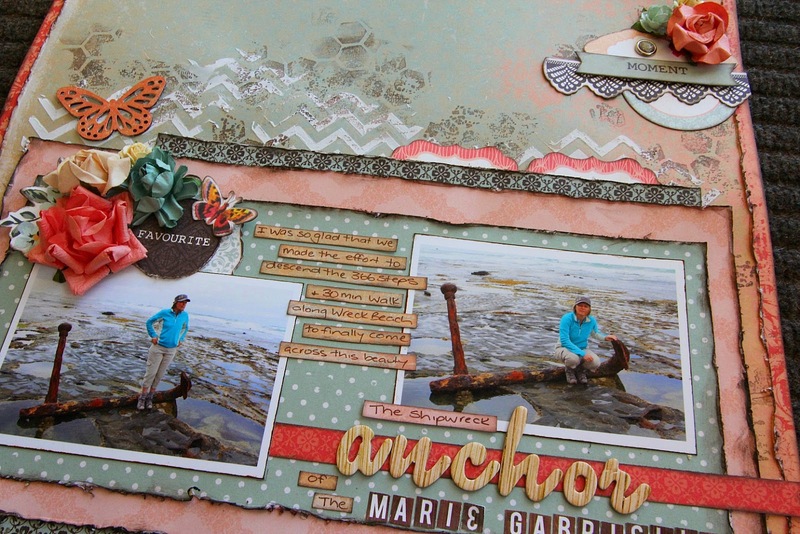 Another stunning page Linda. 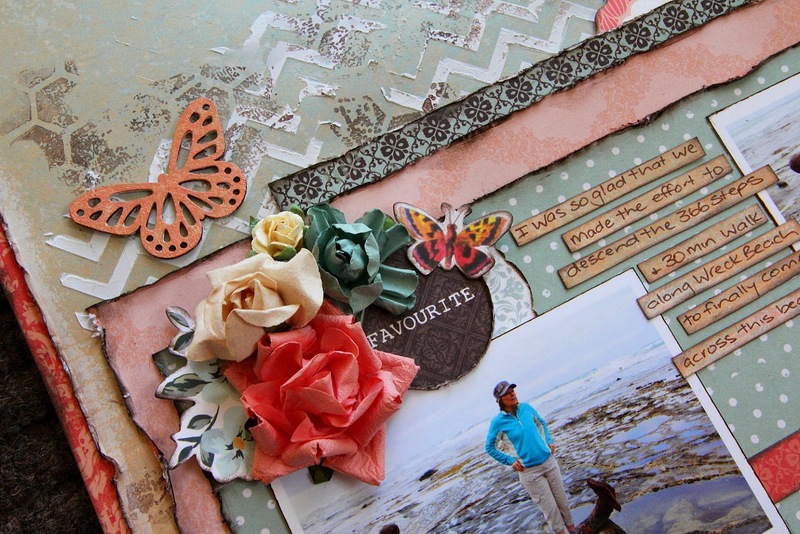 I am finding myself pinning each and every of your layouts they inspire me so much. Very lovely. I really like the colour scheme of this LO, it is a stunning range. I agree sometimes we have to get off the beaten track so see amazing things, even better that they can be scrapped in such a fabulous layout. 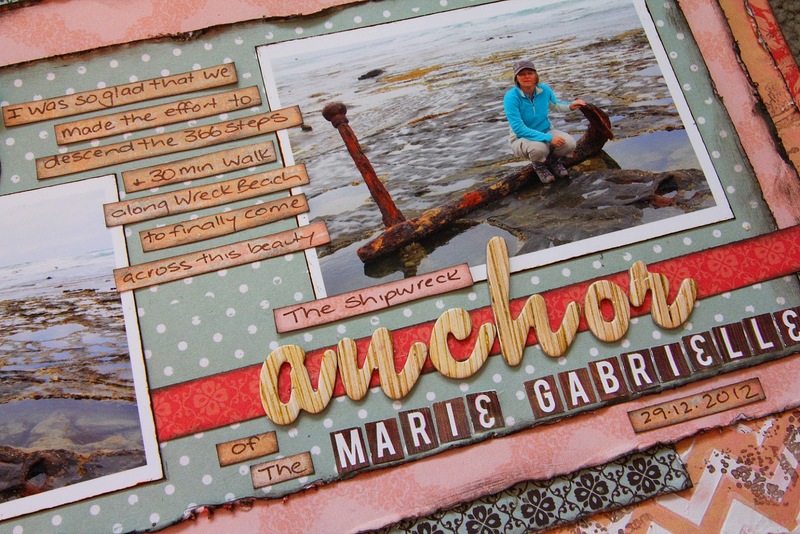 Another stunning layout. Love the papers and the colours too. Lovely pics again. You rocked this one.